Seddik Hammad’s contribution was exclusively achieved at the Faculty of Veterinary Medicine, South Valley University, Egypt. Globally, veterinary-based research is performed for two purposes. First, it is performed to better understand the molecular, genetic and phenotypic, as well as pathophysiological background of animal diseases. This discipline has a great value economically, i.e., controlling diseases (Porphyre et al. 2018), increasing animal productivity (Abdel-Wareth et al. 2014) and decreasing the required health care costs (Prinsloo et al. 2018). However, more importantly, clinically to prevent human diseases of animal origin, i.e., communicable/zoonotic diseases, food borne illness (Hassan et al. 2011), toxic residues (Mohamed et al. 2017), etc. Recently, several measures were considered to improve animal farms and health care (Jacobs et al. 2018). However, more attention should be paid to protect wild, farm and companion animals, as well as pets, from genetically modified microorganisms (Elhariry et al. 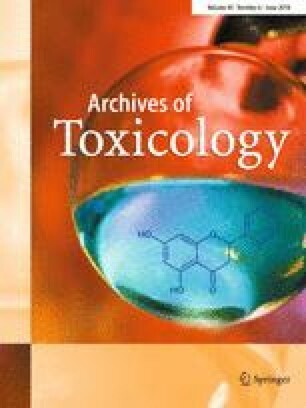 2011), toxic residues (Mohamed et al. 2017) and climate alterations (Combe et al. 2017). Moreover, vaccine development and approval of less resistible compounds, i.e., antibiotics and cancer chemotherapeutics, are the most important protective and preventative strategies (Kumar et al. 2018) and must be considered. Second, animals are intensively used as experimental models to understand the underlying mechanisms of human diseases (Nussler et al. 2014), to identify new targetable protein(s) or pathway(s) and to approve drugs preclinically (Henderson et al. 2013). In the last decades, numerous funding agencies, such as the EU, suggested that animals used in experiments must be replaced, reduced and refined—the so called 3Rs (Daneshian et al. 2015). Basically, there are two ways to achieve these ambitious goals: (1) to develop alternative wet lab-based methods, e.g., 2D cell culture (Godoy et al. 2016), 3D spheroid models (Kim et al. 2015), primary cells (Reif et al. 2015) and cell lines (Luckert et al. 2017), or (2) to use in silico computer-assisted models to answer the corresponding biological questions (Hammad et al. 2015). Despite extensive funding in the last decades for both methods, the optimal understanding of human pathophysiological events is still unmet. We do not believe that animals will be completely replaced by an alternative method; however, research is still leading in this direction every day. Based on the aforementioned background, animal science is a significantly rich field of research. In approximately 90% of biomedical oriented articles in the last decade, experimental animals, primary cells or cell lines of animal origin were involved. Therefore, the Faculty of Veterinary Medicine-South Valley University, Egypt has recently launched the SVU-International Journal of Veterinary Sciences (https://portal.svu.edu.eg/svu-src/index.php/ijvs). The scope of this journal is to cover biomedical sciences particularly in the aforementioned topics. In detail, the journal will publish articles of high quality standards in the following topics: (1) basic/conventional research oriented in experimental or case study form. This includes—but is not limited to—anatomy, histology, biochemistry, biophysics, physiology, microbiology, parasitology, nutrition, pharmacology, toxicology, forensic sciences, pathology, surgery, theriogenology, obstetrics, andrology, internal medicine, zoonotic diseases, behavior, husbandry, wild life, poultry and fish diseases, as well as food hygiene. (2) Cutting-edge articles in translational medicine, e.g., humanized models, transgenic mice (Mohamed et al. 2015; Lai et al. 2018), stem cell therapy (Godoy et al. 2015; Hammad et al. 2016) and computational medicine (Hoehme et al. 2017). This section includes up-to-date technologies of veterinary relevance, e.g., modern artificial insemination, biobanking, publically available datasets mining (Nwosu et al. 2017; Sweeney et al. 2018) and 2D/3D cell/tissue analysis (Hammad 2013). (3) Applied veterinary studies, e.g., herbal derivatives as food additives and/or protective synthetic and natural agents (Abdel-Wareth and Lohakare 2014; Prinsloo et al. 2018), nanotechnologies for drug development (Gherbawy et al. 2013; Aly et al. 2018) and compound delivery will be highly welcomed. The journal will also be enthusiastic to consider biomedical articles from biology, biomedicine and agriculture oriented disciplines. There will be no publication costs associated with this newly launched journal. In addition to the tightly controlled peer review process, the well-recognized Editors-in-Chief will accept only articles of high quality. We are sure that this newly launched journal will contribute to advancements in the veterinary sciences.